Premier Stephen McNeil says the government would need ‘social licence’ from communities before fracking could happen. Premier Stephen McNeil says if Nova Scotia communities show an interest in fracking, the government will be "happy to join them." 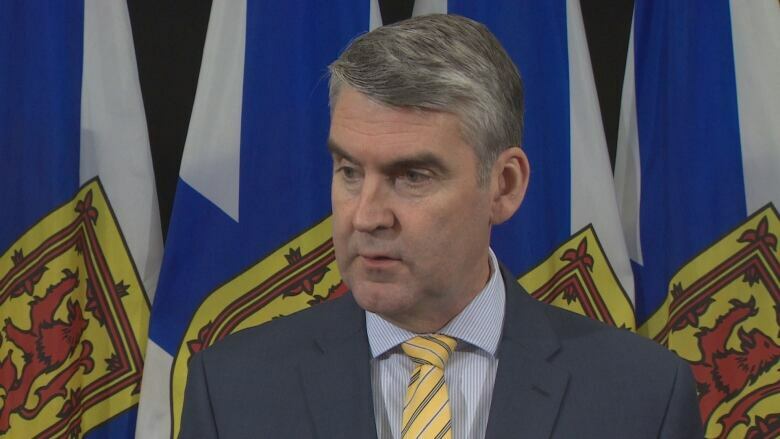 At McNeil's speech to the Halifax Chamber of Commerce Wednesday, chamber CEO Patrick Sullivan asked him if there is an "opportunity for royalties" after a Department of Energy report found the province could have billions of dollars worth of onshore natural gas. McNeil said yes, there is — provided "communities decide that they're going to give us social licence for fracking to happen, we'd be happy to join them." On Thursday, he added that "social licence" doesn't just mean a vote from the local council. "What would be required is broader community consultation, buy-in from community, and it would be specifically about the issue of fracking," the premier said. He said changes in technology could merit a change in policy, if communities wanted it. He said the province won't do any of that consultation, but has provided information in the form of the onshore petroleum atlas. The consultation could come from a private company interested in fracking, or a local government, he said. 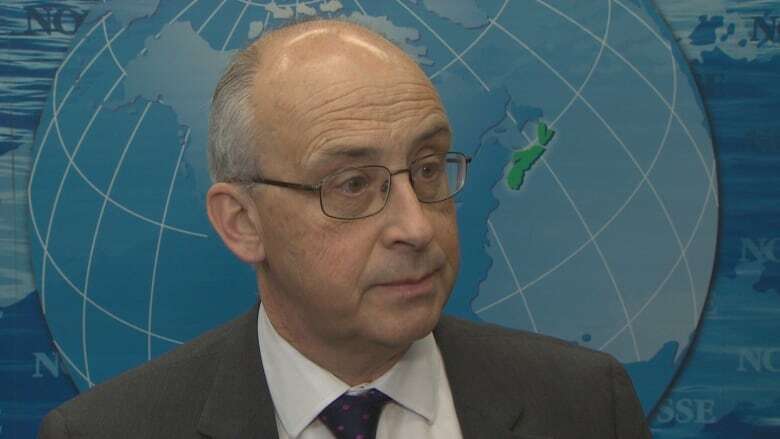 "But at this point, let me be clear — there's obviously been some confusion — we've no intention of changing the position of the province at this point," he said. During the May 2016 election, McNeil rejected fracking. "We have listened intently to Nova Scotians' views on fracking, and we continue to share their discomfort with this practice," he said at the time. "Rather than allow new and unpredictable risks, a Liberal government will concentrate on preserving and enhancing a sustainable environment." NDP Leader Gary Burrill said that showed McNeil and the Liberals were talking "out of both sides of their mouth." "The NDP says Nova Scotia particularly, where drinking water is such an enormous concern around our province, we want nothing to do with the fracking business whatsoever," he said Thursday. "In my view, the position that fracking is a road we do not want to go down in Nova Scotia is the only one that makes any sense at all." Burrill said that position would stand even if a community decided it wanted to go ahead with fracking and approached an NDP government about it. The Department of Energy analysis found onshore natural gas resources in Nova Scotia could be worth between $20 billion and $60 billion. Most of it is in shale gas, which would need hydraulic fracturing to extract. The Liberals banned fracking in 2014. Peggy Cunningham is a professor in the Rowe School of Business at Dalhousie University. She teaches ethics and is studying the idea of social licence. She said social licence includes factors such as: do people feel there will be a shared economic benefit to the community? Is it environmentally sustainable? Is it fair and responsible and do they trust the entity doing it? "Before you decide what you're going to do, you have to establish those benchmarks and those boundaries," she told the CBC's Mainstreet Thursday. "One of the objections, and I think why social licensing has got a bit of a bad name, is people use the term quite broadly." Cunningham said how much of the population supports the proposed project matters, but in some cases the voices of those who would be most affected should take extra weight. "We can measure all of those things and then we get an index of whether people believe that they're giving their social licence to a corporation to do X, Y or Z. In this case, to frack or not to frack," she said. Government is usually part of the process, Cunningham said, and it includes town-hall meetings and other outreach efforts. She said it started in the mining industry and has worked well there, and has also been used in deciding where to put pipelines. "But I don't think I've seen a manual anywhere just yet," she said.